The image on the right is showing 5.5 G 9 "Mechtild" with sails of G 11. 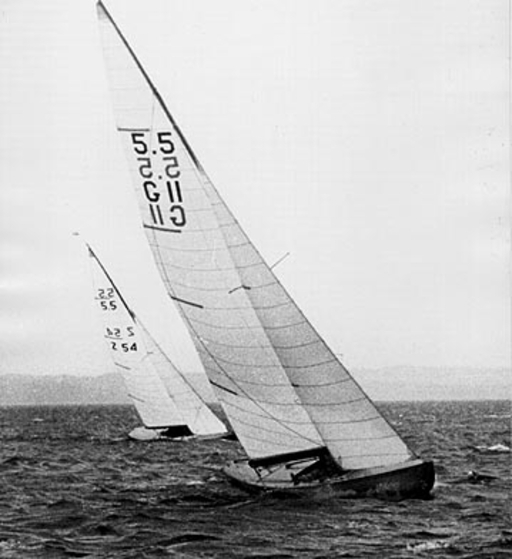 Solution: The owner, Josef Pankofer had inscribed his 1956 Hunt construction for the Swiss Championship in 1963 on Lake Neuchatel, while his new boat G 11 was being sent to the US for the World's. Tragic sideline: Jo died, just before his travel to the US would have started.